Sink your teeth into a gripping vampire adventure that is equal parts fantasy, romance and suspense! 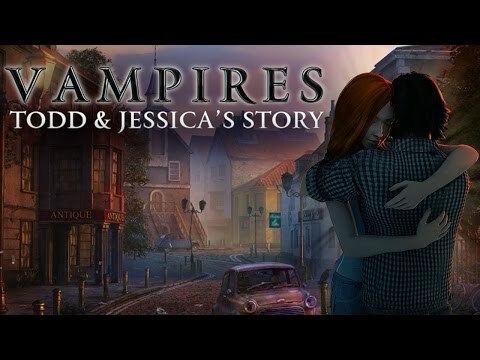 A vampire who longs to be human again, Todd is in the middle of proposing to Jessica, his one true love, when he’s kidnapped. Worse, Todd discovers that his close friend Zack, a charismatic and dangerous vampire, has sinister plans for Jessica. Now this desperate young lover must find his fragile fiancée and protect her from a terrible fate. Explore eerie locations, meet mysterious yet friendly characters, collect useful objects and solve brain-teasing puzzles as you experience an immortal love story with bite! G5 Entertainment are registered trademarks of G5 Entertainment AB. Apple, the Apple logo, and iPod are trademarks of Apple Inc., registered in the U.S. and other countries. iPhone is a trademark of Apple Inc.